Things keep getting more and more complicated over here. Now you will have to deliver food to two different types of customers at once: those who only want some take-out and those who want to eat at your restaurant! 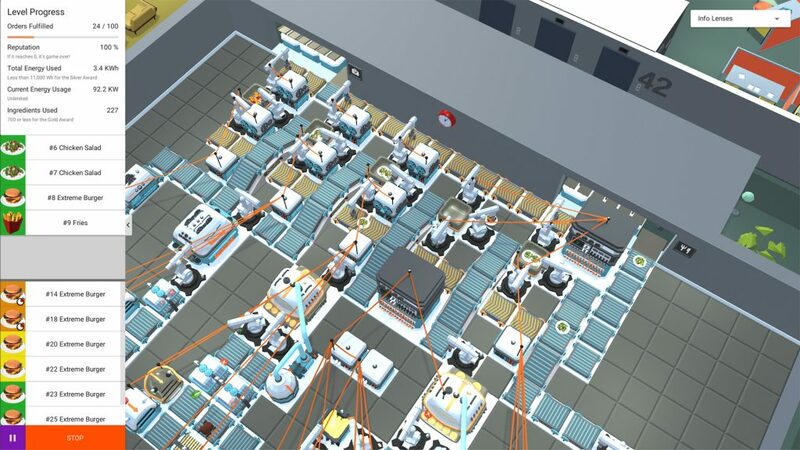 Some new exciting machines have been added to the game, including the Smart Splitter (capable of separating ingredients of different types into two conveyor belts), the Repeater (a machine to retransmit commands from a Computer or Order Reader to several other parts) and the Long Range Robotic Arm. Brand new levels in a brand new environment! Now you have a restaurant inside a skyscraper. Can you handle the lunch rush hour? 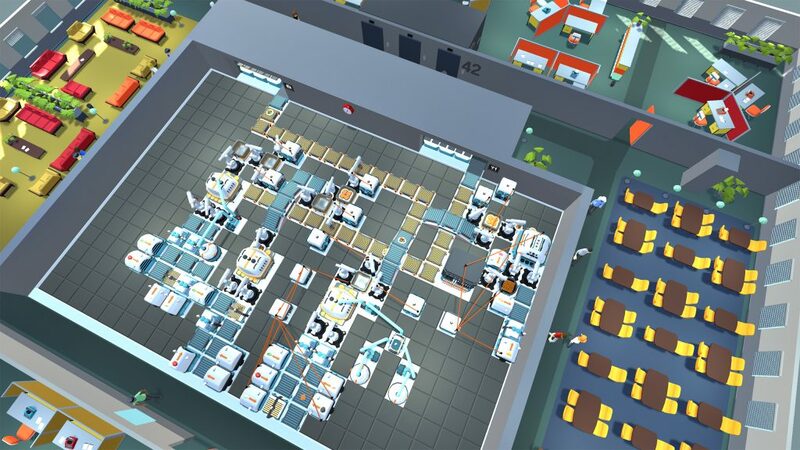 In-game computers can now read the number of actions performed by other machines (such as Assemblers and Dispensers) and determine the time of the day, making them much more flexible than before!